"We're Reaching Thousands of People Every Day"
"Standardised message from all employees is helping us to stand out from our competitors"
Very little now that we have been using the product for some time. Initially, we had issues with being able to upload images to suggested messages but this was ironed out pretty quickly. Go for it! You'll be amazed at how far reaching your LinkedIn, Facebook and Twitter posts can be. It's already generating sales leads for us, just by having a consistent, frequent message out in the ether. We're solving the problem of sharing good news from all areas of the business. It's not just a sales pitch but bloggy info that we're pushing out, even down to the fun stuff that we can share with our customers, it's making us more human! And the fact that we're all sharing to all of our contacts means we're sharing the love much wider, especially as we are incentivising our employees to share through gamification. They love the fact that a simple task can reap financial rewards for them! "Completely streamlined our marketing/sales social media efforts"
Ability to feed marketing-written/approved messages seamlessly to our sales team. I also love the variety of types of posts/activities our users can complete - they have the basics for sending out a tweet or LinkedIn message, but you can also like and follow posts and people, groups, companies, etc with one click. It's fantastic. I wish LinkedIn posting was better but that's a LinkedIn issue, GaggleAMP does the best they're able to! Give it a free trial run. Their staff are very quick to respond and can walk you through different scenarios and use cases easily. GaggleAMP allows our sales team to effectively use social media. It's so easy to curate and write messages and put them into GaggleAMP for the sales team to use. The sales team is a busy group - and they can easily use their phone or laptop to schedule out messages. We went from not using social media at all to having a small army of advocates for our company and offerings! "Team Evangelism at its Best"
Our team at SmartBug is busy. Really, really busy. The thing is, our future clients find us online, and social media sharing is a critical component of our inbound marketing strategy. GaggleAMP allows our internal marketing team to craft messages and actions that will resonate with our team members, and then gives the team the opportunity to select messages they want to share, along with the ability to add their own personal flair to the message, which we encourage. We have our Gaggle integrated with HubSpot, so every month we're able to see what team-shared messages contributed to new website visits, new contacts, and even influenced new customers. For messages that are to be shared on LinkedIn, I wish there was a way to tag an individual or company page. Also, I would like a user to be able to completely customize the message vs just be able to add to it. GaggleAMP has enabled our team to all participate in marketing activities while also dramatically reducing the time spent on such activities. It's also helped us quantify team engagement. "Good... but could be better"
I love that it simplifies the social amplification by capturing the internal value of your team's/organization's individual social networks. Think water drop ripple effect for social. If leveraged properly this tool can be incredibly powerful. Pricing based on org size is not transparent or easy to access. I also had to negotiate to ensure we didn't get an unjustified price hike. I understand the need for businesses to increase their bottom line, and that this often takes the form of price increases (usually termed in a less harsh way to the customer), however, this should only be done after the increased value is justified to the customer. Add new features, improve theUX, INNOVATE... don't simply increase the price with no value and expect the customer to take the hit, that is simply lazy. I also am not a fan of the UI or UX. The UI looks very outdated and non-modern, makes the tool feel cheaper than it really is. The UX is OK, it works in the way you want it to most of the time, but could be simplified, there is far too much clicking to set-up new activities. Do your homework before committing to the product and negotiate the price as it is not clearly posted on their website (as of this review). Unless you are a corporate executive with a massive budget, be clear with the value you see to the salesperson and do not budge on a price you are willing to pay based on the value you see. It makes it easy to get a social message out to your internal social network to then share with their social networks effectively creating a social ripple effect. The thing is this could also be done relatively easy by Email and a pre-set distribution list. It wouldn't be as trackable but it would accomplish the same goals in a less fancy way. This is a huge opportunity for GaggleAMP to innovate to a new level that cannot be replicated by email. "GaggleAMP is a great way to share with your team!" I like how simple it is for employees to share messages on social media and how twitter can be automated! This allows us to get out different articles, news updates, and press releases quickly while reaching a larger audience. It also allows for employees to share what they feel is important to them, and not feel obligated to share what they don't want to. It a simple click to share, or they can schedule it out for different days. That you can only automate twitter posts as a user. It would be nice to have LinkedIn and facebook messages automatically go out for those that don't mind sharing but don't want to be bothered to log in to the system. We have the ability to quickly share social posts on LinkedIn, Twitter, Instagram, and facebook easily. This allows employees to maintain a company's standards and expectations without a tremendious amount of work on the employees side. It also allows employees to take pride in the company they work for, and share great news! "Great platform to engage sales and marketing"
The ability to quickly and seamlessly pick and choose the social posts that I'd like to share on my personal pages that our social media admins create. Everything is integrated right in the platform. Once you link your social accounts, it's as easy as clicking a button to promote it. Our marketing team has seen exponential organic growth in impressions and views on our content. Before, something was posted on our corporate account and then marketing hoped that sales and marketing would promote it. Now, they have no excuse not to! Even when I scheduled tweets, they seem to all post around the same time. I haven't found a way to stagger them as much as I would like. As an end user in the marketing department, I'm very impressed with GaggleAmp. Our sales team also enjoys using it, because they can scan thru all the post options or simply post all of them without thinking twice about it. It kills two bird with one stone - alleviates the need for the team to write their own posts and gets our companies message across in an (approved by marketing) way. Social media amplification. Gaggle amps helps me get our message out easily without having to log in to all of the social platforms. It's a really great tool to even just get a summary of what's going on on our company social streams. "Very easy and helpful for getting the sales team to start sharing"
Biggest benefit is the ease of use for end users. To sign up, the just need to click on a link and add their social channels (LinkedIn, Twitter, etc.). To post, it's just a case of clicking on a link which can come in any format they like - email, Slack notification or browser notification. Nothing else is needed, which makes them so much more likely to use it. I'd prefer it if the LinkedIn sharing was in the same format as the Twitter sharing (i.e. you can scroll down a list of recent posts in your stream and select that to be shared). I'm not sure if that's functionality that GaggleAMP can develop or if it's based on LinkedIn's API. Convincing your team in advance that it's as easy to use as it really is is the hardest part about it. Business problem: Sales team won't share useful and relevant marketing content via their personal social channels. Benefits: They are doing so at a much higher rate. There are of course still those who don't but in general it's much higher than before. "Social organization at a premium"
What I like best about using GaggleAmp is the ease to which you can use the tool to reach your audience. You can coordinate with a team to deliver a message that is concise and clear with little effort on all parties. It can cater to those who use social media frequently by posting to the tool and cater to those who don't use social media often by giving them an easy process to engage with. What I dislike about the tool is that it could expand or improve a mobile user friendly experience since social media is predominately mobile interaction. I haven't used or heard of a mobile version or app for Gaggle but I think implementing that aspect in the tool would be useful to product users. The business problems that are being solved are the coordination on social media by the users in the company to promote a message or initiative that we are trying to achieve. The benefits that I realized from using the tool was the ease to conduct an activity, the ease to respond to one, and the ease to use social media platforms such as twitter and LinkedIn. The functionality is intuitive, and the GaggleAmp team is always available and acts as our partner throughout or program. It's very easy to manage, and as a "member," it's a no-brainer. With a click you can share content that appears organic. Members of our Gaggle have provided excellent feedback about how they have been able to become more comfortable in social media and have received increased engagement on their personal accounts by taking advantage of this program. One thing I have heard from a number of our members is that they wish there was a way to opt out of receiving sharing notifications for networks that you don't use. In other words, if a member doesn't use Facebook, they still receive all notifications of Facebook content when its available. This is a great product for social amplification, especially if you're starting out and aren't sure if you want to commit to the larger enterprise platforms out there. I appreciate the partnership we share with GaggleAmp -- they check in with us and we discuss our efforts. I always leave the meetings having learned something new and feeling energized about our own social program. I highly recommend taking advantage of the free 30-day trial to see if it will work for you. The rep was really great to ensure that we had a plan in place to make the trial as successful as possible, and those efforts didn't end with our trial. Our rep is almost an extension of our team when it comes to the amplification side of our social media initiatives. We have greatly extended our social reach by using GaggleAmp -- utilizing our members networks has more than doubled our social footprint as we look at our month over month metrics. I was able to push out a very successful program using GaggleAmp. We had no prior experience with an Employee Advocacy Program prior to GaggleAmp. I jumped on a phone call with a representative and explained to them our company culture and background. He had put together a 2 week trial for me to see if this type of program would even resonate with the company. Based off the information I provided him, the goal was to have about 10 employees create accounts during that two week trial. We marketed the program pretty heavily and within those 2 weeks we were able to get 1/4 of our Full Time Employees set up and participating in various activities (Following our social channels, liking posts, sharing with friends/family, etc.) Our engagement score skyrocketed and since then we have continued with their annual program. I would recommend this user-friendly dashboard to any company! There is nothing I dislike about this platform. If you have employees who may or may not be very active on their social media platforms- this dashboard makes it easy for every level of expertise. The business problems wer were able to solve using GaggleAmp is increase Brand Awareness and Employee Contribution. "Moves team members to the next level of their social involvement"
As a social media manager, GaggleAMP helps me engage other team members at our company, easily adding fresh content to their feeds, while also providing measurable amplification of our messaging. The variety of options and editing features provide me with quite a bit of flexibility. The clunky UI and lack of solid mobile app are frustrations, as they inhibit my ability to schedule from anywhere. Additionally, our team has reported confusion in using the tool due to the non-intuitive interface. Finally, more customizable analytics would be extremely helpful in my reporting. In many ways, GaggleAMP has helped us to get team members from "point A" to "point B" in their social involvement. We've seen C-level involvement move from zero to "something" -- which is a massive increase when it comes to evangelizing our messaging with the right audiences. We've also used it in conjunction with recruitment teams to counterbalance jobs listing messaging with relevant content. "This has changed our approach to social media"
This is a seamless and effortless way for employees to engage with and extend the reach of your social content. The team at GaggleAMP is responsive and proactive. Easiest implementation and adoption of any program we use by far! I wish the autoAMP feature was a little more robust. We don't use the feature really, but would if I could be certain that the automatic activity generation for LinkedIn would only pull in a post once each time. This will pay for itself within weeks and will have a serious impact on the social activity surrounding your brand. It is a low cost, high yield program and the user experience as well as customer service are amazing. GaggleAMP is a great way for businesses to get their leaders and staff involved in social media activities. Many people do not have the time or acumen to disseminate proper or relevant information as it pertains to their company or industry. The Gaggle makes it easy for people and adds incentives, like contests, to encourage social media engagement. There is little to dislike about the Gaggle at this point. GaggleAMP enables all (but especially non-social media savvy) employees to engage in a timely and effective way. The benefits of this engagement are tied directly to the sharing of relevant information to build our company's online presence and better establish ourselves as thought leaders in the space. "GaggleAMP with Wurth Electronics Midcom"
The best part of GaggleAMP is being able to notify customers about upcoming events and new products. It's an easy way to get the word out without the hassle of creating press releases or media advertising. The issue I have with GaggleAMP is not having an app on my phone for managers. I would like to be able to post statuses at exhibitions without having to sign in to the site from my phone or tablet. Give it a year and watch your total message reach grow. The main issues I had before GaggleAMP was getting my colleagues on the same page with social media. Many were too timid to use social media as they did not want to post anything illegal (such as internal documents) and others simply didn't use social media. With GaggleAMP, we're able to connect everybody. "Good tool for employee advocacy"
Campaigns are easy to set up and run. Lots of useful features to improve engagement. A lot of platforms and tasks are built-in and don't require any additional set up. Some tasks we require in our line of business don't fit in and can't be coded in so we have to host these actions on our own. Truth be told, I don't see a way these actions can be incorporated here, but ust so you know it's not for literally everything. Request a demo and watch it. This will help you with initial setup and you'll know what you're buying. Employee advocacy to improve social reach and work on company's HR brand. Helps with boosting content we want to promote fast. "Great tool for employee social media advocacy!" I love that with GaggleAMP you can with a couple clicks provide content for your employees to share. The interface is super easy to use. There have been a couple things that have needed some tweaking like images not popping up with Suggested messages, but the support team has helped re-mediate. I also wish that there was an easier way to share LinkedIn Share messages. We are using GaggleAMP to help turn our staff into thought leaders and give them an easy avenue to share the great content we have with their customers and partners. We have gotten great feedback from our employees saying how easy the tool is and how it really helps their day-to-day business. "Amazing growth aquired w/ great platform "
I really enjoy the ease of the program. I find that we have been able to apply it in multitude of ways for the company. Including on-boarding, internal metrics growth, events success, etc. 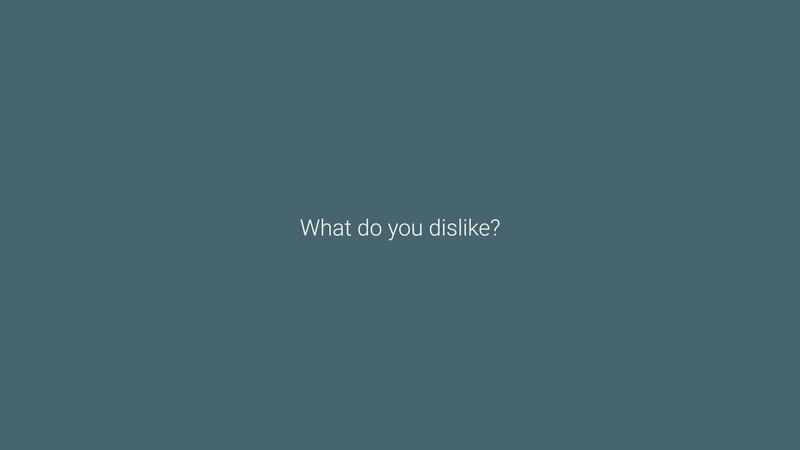 At this point we don't really have an area of dislike. We have really enjoyed the success of the program with the right customer experience manager. He has really made the experience seemless. This is an amazing program that will reap great benefits if implemented correctly. We are solving for an issue of poor external branding. When arriving at my company people were hesitant to be an advocate, but now, with GaggleAMP we have empowered others to be casters of the space with an easy to use program. "GaggleAMP is a Must Have!" GaggleAMP has really helped increase our social presence as well as getting our employees excited about social. We've used this tool for a little over a year now and it has helped us tremendously. It's a great tool in showing how important social buy-in from your employees is. It also is a great way to keep you employees informed of the great things being shared via social. The program is very easy to use on both the admin and user experience side. I cannot say enough positive things about GaggleAMP. Great tool! The only improvement I would make is adding comment activities on Twitter, Facebook and LinkedIn. It's helping to increase our social presence and increase social awareness and knowledge. "Great Idea, Could Improve UX"
That you can easily add your employees to the tool, and turn on automatic sharing capabilities to extend the reach and engagements of your company's social message. It can be a little clunky on the mobile end, and getting started is a little confusing. With better training, I bet this could be alleviated. It can be hard to get your company to be active and participate in your company's social channels. This automates the process and makes it easy for employees to feel involved. It also helps improve social KPIs. How simple it is on the user side. It's very difficult to get buy-in from folks outside of Marketing to promote content on social channels. With this tool, our Sales, Support and Engineering teams just need to make 2 maybe 3 clicks and they're promoting on LinkedIn and Twitter. The product is a little clunky on the management side. I believe the product is improving over time. Employee advocacy is really number one. We are a lesser known company so when our employees who join us from much larger organizations in our same space start sharing our content, our reach grows exponentially. "Multifunctioned social sharing program for employees"
The program functions smoothly, and is easy to send updated messages to all members of the Gaggle. Tracking engagement with messages is great, and even being able to see individual user patterns helps us in identifying our best ambassadors. The leaderboard function rewards simply sharing our messages and not our employees expanding on their own personal brands (or at least, not overtly encouraging them.) Inability to edit tweets shared is a major issue for our users. It allows to put a human face on a company that in the US is fairly unknown, though an industrial behemoth in others. It's helped us to begin communicating more functionally with the community in our local areas. "Great tool for utilzing employees in corporate social media efforts!" GaggleAMP makes it easy -- no, wait -- make that ridiculously easy -- to curate content from your company's social media platforms and facilitate the sharing of that content by your company's employees. The easy-to-use interface, the very minimal work require by employees to either share content outright or put their own spin on it -- makes our yearly investment in the platform very much worth it. Not much, to be honest! We've had very little issues with the platform, and when we do, GaggleAMP's Customer Success Team is always there to help with questions. Also, they really do a great job making changes to the product based on feedback -- and are also very forthcoming and transparent about these changes or improvements. Our company had a culture for a long time where social media was not permitted at work -- so any employee action in sharing helpful, relevant content to customers and potential prospects was nonexistent. We knew we needed a very easy way for employees to share that content in the wake of dispelling this perception now that social media useage is very much encouraged, and it's made a tremendous difference in getting employees from all departments to see the value in social. "Easy to use, flexible, powerful, and great support"
It's easy to use, and easy to understand the capabilities and how they can be applied to different marketing goals. The framework is flexible and the results are impactful. GaggleAMP support has been very responsive to all my technical requests, and they also do a great job supporting your engagement with the software. The product is still young, and there are some UX issues and functionality improvements that are needed to take it to the next level. They are currently working on a major UX overhaul, and they've also been very responsive to my feature requests. We currently have a mix of users from various department heads, sales, and our talent acquisition group. The primary benefits we've received are the increased click-through traffic and brand impressions. The CPM and CPC costs is very low compared to other outreach channels. In addition, it promotes our users as thought leaders with very little effort on the part of the user. For example, our Director of Marketing just joined, and in less than a month she's added 20 Twitter followers, and is getting feedback from her followers about the interesting articles she's posting. It helps us stay on top of what our sales team is sharing into the world, while creating special links and content for them to share. Additionally, they can share content with us to then distribute on company-wide level. With the quickly changing health care landscape, we rely heavily on GaggleAMP to share related news on Twitter so we can remain present in the conversation. We just received word they are drastically increasing their prices. This will most likely prevent us from continuing use as we have a small budget and have not yet been able to prove the value for an ROI. It would be nice to see what other users are sharing and if they are adding onto the message posted by marketing. Sometimes the shares and likes seem repetitive among the sales team. This service is only as good as the people using it. If you're planning to launch this with your teams, be sure to get buy-in from all appropriate parties and institute training so your people feel comfortable with what is being shared. How easy it was to get the sales team on board with using social media to help with brand awareness! We have reps who didn't know how to use LinkedIn. After implementing this, some of our top users to share content! Additionally, our total social media presence has increased which is great because brand awareness is a major initiative for our organization. "Best social amplification platform available; amazing support"
There are some limited options for posting. That said, GaggleAMP is incredibly responsive to feedback and suggestions. It takes time to find ways to use a tool like GaggleAMP. Start using it, pivot what you're doing, and -most importantly- leverage GaggleAMP's support to help you get you where you need to be. We have been able to leverage our employees to provide positive engagement to our audience which has stimulated the level of engagement by our customers and audience. "Gaggle is good tool to use to leverage your employees social network"
Fact that I can see how much cost savings we are able to do (CPC & CPM) when we leverage employees social network. It lets me plug in more content which gives members option to chose from varied content.Incentivizing members to share more and more content is a good feature. We faced problems like social engagement, less followers and brand awareness. Now, we are able to engage the top executives more with company's updates. It has resulted in some good cost savings for the company as well as brand awareness via increased sharing. "From 0-60 in no time!" My company had no Social Advocacy program before we began using GaggleAMP. The support is amazing. The platform is user-friendly and it helps our employees engage with our brand very simply. I'd like to see the tool do a few more things to help with promotion. At the very least try it. Price shop around, if you want. But, GaggleAMP gets you the best bang for your buck and gets the team onboard. Brand awareness is a big one. The benefits we are seeing is more engagement with our company. The engagement on event promotion was almost shocking and it really helped get Gaggle off the ground at our company. "A game changer for creating an army of advocates!" "Great app for distribution of social media content to selected users"
This app makes it very easy for me to create content for our social media brand and then distribute it to our employees/brand champions for easy distribution to their social media channels. And the ease of use by our employees. Nothing. The application meets or exceeds my needs in all areas. Take the 1 week trial, you'll be convinced by the end of the week, but you must really use the trial. Increased engagement with our employees in distributing our social media content. In our corporate environment, becoming a member of GaggleAMP allows us to have a professional social media presence with a click on content to easily share. We have experienced that our savvy social employees use Gaggle, but there are a lot of employees that opt out of participation. GaggleAMP is an impressive tool to use when on the go such as at a trade event. Real time updates can easily be shared. The benefit is in the content spread which social media is meant to achieve. "Easy way to show your employees what the marketing team is producing"
GaggleAMP helps your team engage with the content you are producing and help your brand build a larger presence on social media. The integrations aren't incredible. A lot of the time it's mostly a message to prompt your employees to copy and paste the link or video on the 3rd party platform. It would be nice if the sharing was more native. It's good for a simple tool that can share your content in front of your employees. GaggleAMP helps promote employee advocacy. "Get employees social savvy fast!" Gaggle is an intuitive employee enablement tool that has helped our employees share our marketing content fast. Even our reserved colleagues have joined in the fun. There are a few improvements that could be made to the product and I'm not familiar with competitor tools to really comment on this. One thing I'd like to see is more integration with other social accounts (Xing is one...does it work with Instagram)? "Social Selling requires brand advocates in a B2B World"
GaggleAMP provides you a solid platform to not only feed relevant content to your teams but offers actions such as like this post, follow this user that provides better engagement and encourages advocates to expand both their professional reach but makes them SME within their sphere of influence. Licensing model does not work for small businesses. Solution Sales, Brand Awareness, Employee Engagement which all have resulted in more opportunities for the business and clearly identified opportunities as a direct result of GaggleAMP. "A Growing Gaggle of Fans and Advocates "
What I like best about GaggleAMP is the ease of use for my fans and advocates and how consistently it allows them to choose to share offered relevant content that serves to increase their own influence. I think the only critique I've had that hasn't been addressed yet is more complete control of assigning campaigns before, during or after the fact; as well as to update campaign names if I think of something more relevant later. Consider who your advocates are, and how and why they would share content to whom. That will help you quickly grow a relevant pattern of content that gets great reviews. What business problem am I trying to solve? Simple... how do I increase the influence of my fans and advocates, thereby increasing my own influence? How do I get my content shared in a variety of ways that will ensure it gets traffic and traction? GaggleAMP is my answer. "Great Idea, but In Need of Work"
Gaggle makes sharing across a large organization fast and easy; Scheduling takes seconds and it offers a number of insightful statistics to improve your sharing/reach. It's extremely convenient and I'd recommend it to anyone publishing for a large group. I would love to see their be a mobile app for scheduling/managing a Gaggle Account; right now, when I'm on-the-go and find a typo, I have to struggle through the un-responsive mobile site to make edits to messages or schedule a new one. It's extremely inconvenient and frustrating, especially for a tech product. Also, when I implemented this for a client, I had a recurring issue with HubSpot links breaking; when I would copy them from the nav bar and paste them into the scheduler, the link would be altered and since gaggle automatically creates custom short links, we would never know there was a problem until they went live. it was extremely disheartening and support did not offer much help. I eventually troubleshooted the issue myself, but I was never able to confirm if the issue was resolved. - Social publishing, social reach, social traffic, building brand awareness on social media. "Gaggle Amp - A Solid Social Tool for Medium Business"
It's a super cost effective tool for small to medium sized business who want to add an extra punch to their social media presence. They also provide you with decent reporting tools that have a minimal learning curve as well and friendly and helpful customer service. One of of my favorite things is that I can easily post right to my twitter and Linkedin accounts. I love being able to schedule out tweets and have it handle the rest for me. The piece of this that I really like is how they gamify participation with a "Leadership" boards to show who has shared the most. It really helps with getting employees involved. There's not too much to dislike about the product. Some of the technical stuff can be a headache sometime. For example if you use a symbol like a "%" it may mistake it for a URL and sometime the link shortening can be a problem but nothing major. Overall I recommend the product. If you're trying to figure out how to automate your social media a bit more it's a good solution. This product can really help out with maximizing your productivity and saving you the headache of managing a number of different social accounts. It's a big time saver for us because now we don't have to worry about logging into a bunch of different social media account, we can just check it one place. It also makes it much easier for me to keep in touch with my followers and social media interaction. "How did I not know of this service years ago! Love it." The ability to easily publish social posts to the different sites is not new. But bringing in your company or team on it and getting them involved with sharing and liking is fundamental in efforts to grow and engage more on the socials. Also, love the gaming ability with the leaderboards. Sometimes it will repeat a post request but GaggleAmp usually notifies admins of the issue. Set up a program plan beforehand. Have an idea who your key (initial) gagglers will be. Providing employees with an easy way to buy in and share with their social networks. Creating company power users. "Best Social Employee Advocacy Platform Ever. " All of the different activity types that you're able to do which include Instagram, YouTube, Twitter, LinkedIn, SlideShare, Leaderboard, surveys, Facebook, Vine, Google+, Pinterest, Glassdoor, and Indeed Review to name some. These are crucial for social media and social selling success. Our sales reps want to be sharing content on social media because they understand the importance of social selling, thought leadership and social lead generation, but they "don't have time" to find content and post everyday. With Gaggle AMP, our sales reps are able to seamless auto and semi-auto share social content via the desktop or mobile app platform. "Shifted the needle considerably in employee advocacy"
I like that Gaggle Amp seamlessly integrates with all social platforms of the user and the good part is that you decide which social platform you want to use/not use and can instantly turn it on/off as per your needs. The suggestions feature is also great and helps us track content that we may have missed. I wish they had a more flat fee or incremental fee structure. Instead we pay the same price per user, despite having a large user base across the company. It has helped employees get their social profiles more active and engaged. Before this we had a lot of content but just didn't have the right tool to disseminate it to employees. I absolutely love the fact that it posts to my Twitter account automatically. Very convenient! I really like the fact that I can cover all of my social media pages in one easy to use platform. The fact that it automatically Tweets for me is a real game changer. I can't wait to see what you roll out next. Nothing, you guys are doing a great job! Keep up the good work. I appreciate all the new updates and can't wait for more! I would highly recommend this product to anyone who loves things to be automated for them. In this day in age it can be quite a haste to have to manage ALL of the different social media that we have available. With gaggle it's made my life so much easier by allowing me to handle everything I need handled all in one place. If you want to maximize productivity with your social media I recommend Gaggle 100%! Even if Twitter is just your thing, Gaggle is the best by far due to the fact that it automatically Tweets for you. A real game changer in the scheme of things. Sometimes I find it hard to remember to check in with all of my social media so this tool consolidates all of my accounts into one place so it makes things fast and easy. I find that with Gaggle allowing me to see all my social media accounts it allows me to constantly stay in touch with my followers and keep them updated with fresh content. Thank you Gaggle for making my life easier! "Easy to help create social media buy-in company wide"
The UI is very easy and makes it so easy for you to share suggested social media posts from the marketing department. There's also a built in Safari extension to make it easy to see when there's new content to share. It would be great if the dashboard could highlight previous posts and show any engagement you got from what you've posted previously. Getting company-wide buy-in on sharing social media posts. 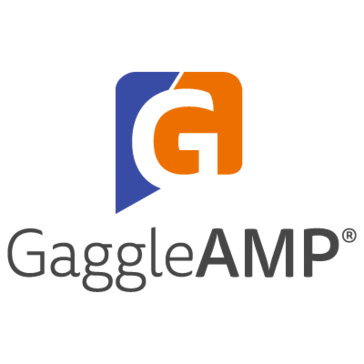 "One-Stop Employee Amplification App "
GaggleAMP is very easy to use. From one url, your employees and others can click and begin amplifying your content easily. In using it for 2 years, we've found very few cases where we get questions, it is that simple to use. I've begun to use the tagging features and they work well. Reporting. I'd love a prettier GUI and one that allows me to customize results by tag and/or content. Employees feel like they are a part of the equation. Even with those who resisted it, it is so easy and allows them to adapt the content, they've been able to use it and like it. Sometimes things can be a little glitchy but nothing that is a detriment to using the platform. "Good for distribution of content, but some reporting is overstated"
It's extremely easy to get started and for Gaggle users to quickly share social posts. No complaints about ease of use. Reporting tends to be inflated - for instance, POTENTIAL reach is reported as if it's ACTUAL reach and the difference between the two can be huge. Another 'metric' offered is the amount saved on advertising based on that potential reach, which again is unrealistic, especially if using the tool to establish a social presence for an employee rather than advertising a product or service. Consider the cumulative output and the perception it might create (see earlier comments). It is a quick way to get a message out via users' individual social accounts. Unfortunately, it's all too easy for all those users to share the exact same message without them pausing to personalize it, and the result is the possible perception of social networks being spammed with the same message over and over, which may also make employees look like "robots taking orders" rather than thought leaders. This is not the fault of the tool, though - it's really the result of admins not educating users on the risks. But this is worth bearing in mind if you're thinking of using the tool. "Must have software for every business"
Can't think of anything, this is really an amazing product and wish I came up with the idea!! I like the intuitive platform, as well as the information provided in the dashboard. It gives a high-level view of the activity and allows you to dive into individual user activity. The Leaderboard doesn't always match up to activity - from my experience. We are working to increase awareness of our social channels through employee advocacy. We've realized that if you deliver an easy-to-use platform and quality content, employees have no problem making the leap. "It works for social advocacy"
I like that I can easily queue social posts for company employees. I also like that our branded short domain is integrated, as well as OneLogin. The UI looks a bit dated and could use some improvement. It's a good starting point for social advocacy -- it may not have all the bells and whistles of other options but they seem to be adding features and functionality regularly. It is easier for me to queue up social messages and it is easier for our users to post them than our former method of emailing these things out/risk getting buried in the inbox. "It's got all the basics for social sharing"
It's limited in it's social posting capabilities, for example you can't post an image with your linkedin posts. Also the reporting is limited compared to other solutions. Enabling our partner and internal teams to share social posts. We have seen great pick up with the partner teams in sharing and contributing to what should be posted. I like the autoamp feature where social posts are automatically pulled in and given to employees as options to share. Wish that you could provide different copy options for employees to pick instead of just sharing the exact same post as your company profile. There is an option to edit the text, but it would be nice to curate additional options. Having our sales team share content on their LinkedIn profile where they connect with leads. * We monitor all GaggleAMP reviews to prevent fraudulent reviews and keep review quality high. We do not post reviews by company employees or direct competitors. Validated reviews require the user to submit a screenshot of the product containing their user ID, in order to verify a user is an actual user of the product. Hi there! Are you looking to implement a solution like GaggleAMP?